What is it about the Obamas that make people all gooey inside. He is the most powerful man in the world and she is a very strong black woman, but could it be because in a moment of intimacy and emotional expression, they look so vulnerable -just like anybody else, they look mortal. 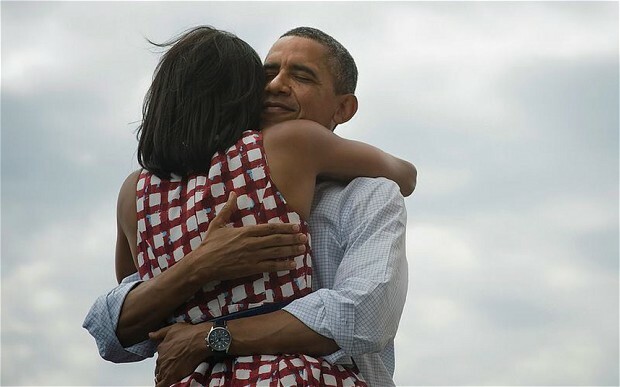 Within minutes, the celebratory victory hug became the most popular post in the history of Twitter and the most-liked image in the history of Facebook, shared more than 804,000 times, marked as a favourite by more than 289,500 Twitter users, and “liked” by more than 3.2 million Facebook friends. Why showing the pix now, is too late. U guys have to be faster in information dessimination.